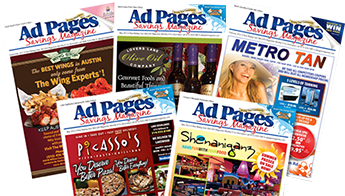 Explore our digital versions of Ad Pages Magazine. 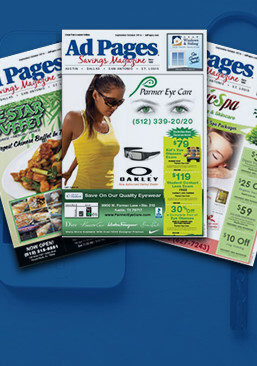 Each local magazine is full of useful coupons from local merchants. You can click on any local edition and launch a digital magazine version, flip through the pages, clip the coupons, share them through social networks, or email them to yourself or others to print out later.